Time for a new look? Find your new image with Hair Master HD! A new hairstyle, a new color – you feel desire for a change! But what, if that modern new haircut isn’t what you expected? 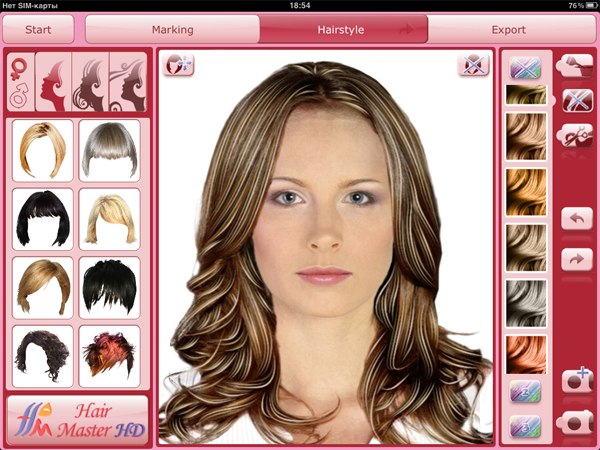 Rely on your iPad: „Hair Master HD“ lets you try out different looks before you start. 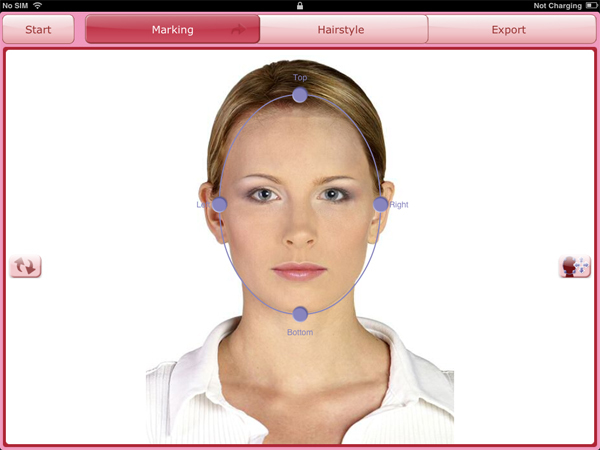 Transform your iPad in just a few seconds to your personal coiffeur. 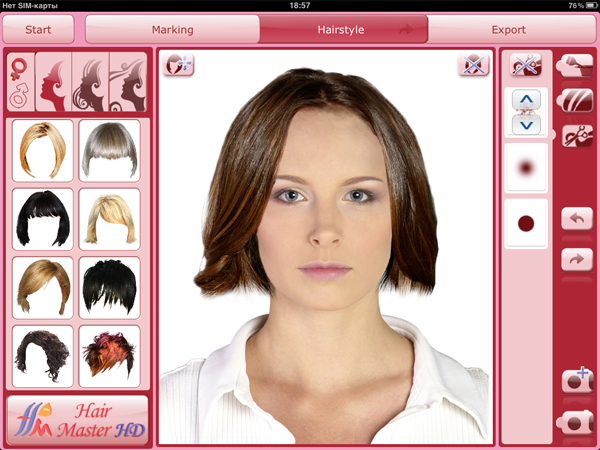 Try out actual hairstyles and colors in a real photo quality – quickly, easily and stress-free. Don’t like that hairstyle? Just remove it. Otherwise – show it to your hairdresser and feel like a whole new you! Share your new look with your friends! Now you can submit your image to Facebook or Twitter directly from Hair Master HD! Enjoy your personal hairdresser salon! 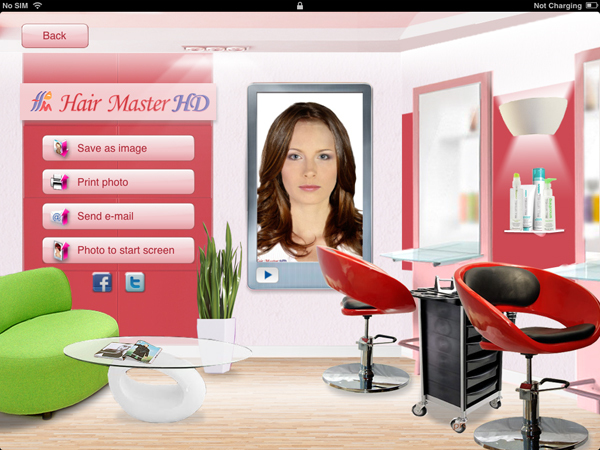 Hair Master HD is available in English, German, Spanish, Italian, Russian, Ukrainian and Turkish language.